This museum is a small chapel built to display a fresco that was stolen from the dome and apse of a 13th century Cyprus chapel. A fresco is artwork that is painted onto wet plaster, and when the plaster dries, the artwork becomes a part of the wall. Thieves removed the frescoes on the dome and apse of a chapel near Lysi, Cyprus and cut it into pieces to be sold for profit. The Menil Foundation, which oversees The Menil Collection museum (see above) came across these frescoes, bought them, and reassembled them on the dome and apse of this specially built chapel, the Byzantine Fresco Chapel Museum, to display them. The frescoes still belong to the Church of Cyprus, and are on longterm loan to Houston. The museum was a lot smaller than I’d imagined when reading the descriptions. The chapel has frosted glass walls on the inside. The lights are dimmed real low. The chapel is just the frosted glass walls and the frescoes on the dome and apse. This allows it to highlight and draw attention to the frescoes. 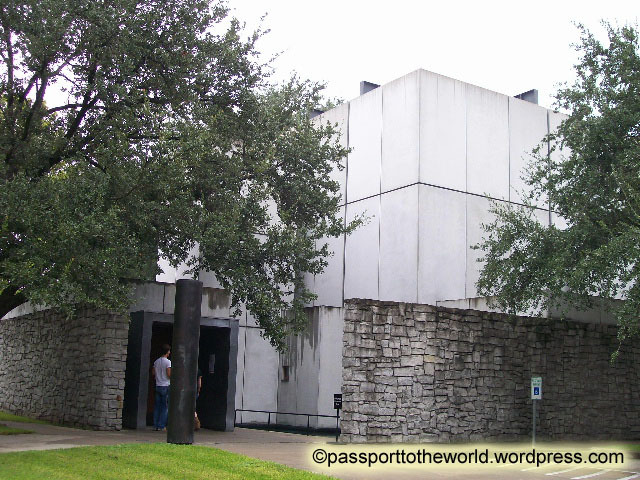 This chapel is a short walk from The Menil Collection and Rothko Chapel, and is easily rolled into a trip to the Menil. 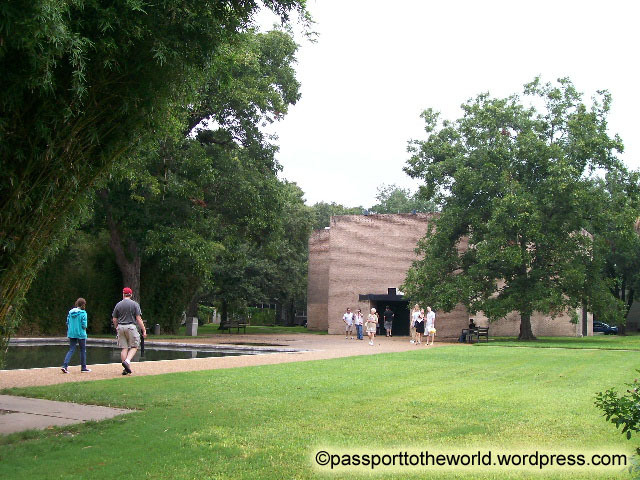 Rothko Chapel is a small chapel within walking distance to The Menil Collection and the Byzantine Fresco Chapel Museum. This chapel was also founded by John and Dominique de Menil who founded The Menil Collection and the Byzantine Fresco Chapel Museum. It is named after the paintings done by artist Mark Rothko on display inside the chapel. I did not get to go inside when I went because they were holding a concert inside, but I did walk around on the grounds. The grounds are peaceful and quiet, perfect for quiet contemplation. 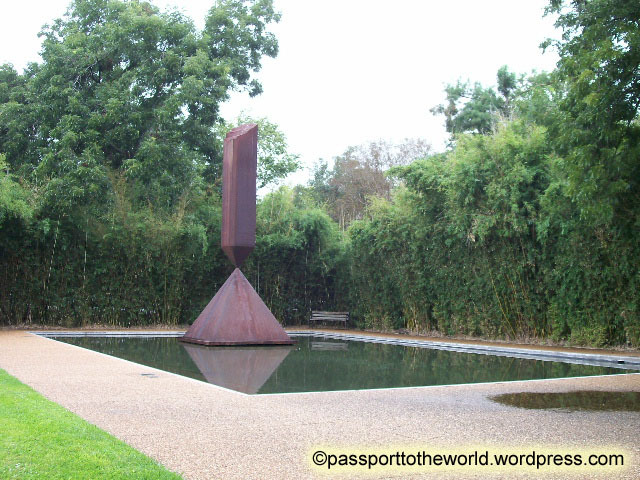 There is a broken obelisk sculpture with a reflecting pool on the grounds. This is a small museum dedicated to photography. Most of the photography in this museum was contemporary photography, which is not my thing. I am more into landscape and travel photography, and also portraiture, basically stuff you’d find in a National Geographic magazine. 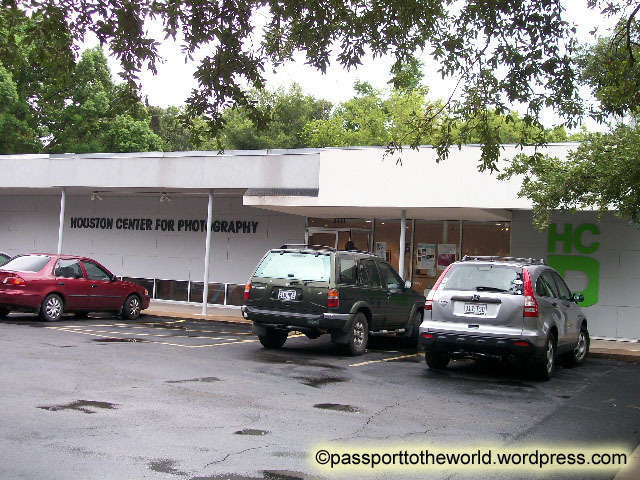 If you are into abstract and contemporary photography, this museum is within walking distance to The Menil Collection and the two chapels I mentioned above. It’s still a very small museum and would take no more than ½ hour to view the exhibits. This entry was posted in USA and tagged art, church, 相片, 美國, 藝術, Houston, museum, photography, Texas, travel, USA, 博物館, 德州, 教堂, 旅遊, 休士頓. Bookmark the permalink.